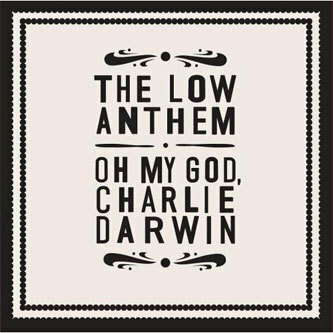 Setting themselves up as a promising new force on the Americana scene, The Low Anthem make their debut on Bella Union with a rousing collection of songs that range from whispered/croaked ballads to bourbon-swilling juke joint rockers. With album highlights 'Ticket Taker' and 'The Horizon Is A Beltway', The Low Anthem set themselves up for a potentially lucrative sideline as a bunch of Tom Waits impersonators. Not only does the singer do a nifty impression of the faux-hobo (faux-bo?) songster's gravelly larynx, but the songwriting is pretty on-the-money - not to mention the old-style production values. Elsewhere the likes of 'To Ohio' and 'To The Ghosts Who Write History Books' cut a more individualistic silhouette whilst the likes of '(Don't Tremble)' directly evoke early Iron & Wine, which you'd have to say is no bad thing at all.